Cheers! : Beep that Bleep! Pabst American Pale Ale! Yup! 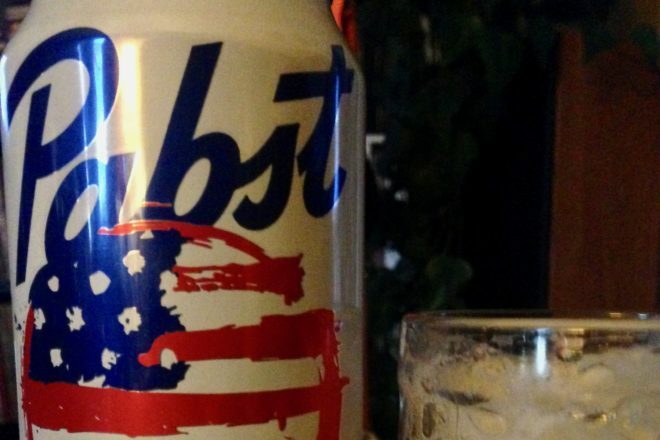 Pabst makes an American pale ale. Or, let me rephrase that – someone brews an APA for Pabst. All the can label tells us is “Pabst Brewing Company, La Crosse.” So, I am guessing that City Brewery of La Crosse contract brews this beer for Pabst. Except for mention of the three hop varieties, it reads like the typical macrobrew bluster and hyperbole. “For the rest of us?” Isn’t that for Festivus?